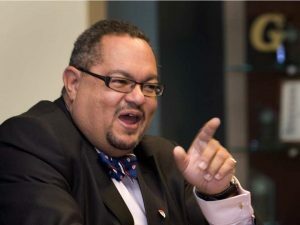 News Quebec’s Crown prosecutors are waiting for an official death certificate from Panama two years after Arthur Porter’s demise is fuelling speculation — some of it tongue in cheek — the former head of the McGill University Health Centre might still be alive. The Montreal Gazette has since learned Quebec’s anti-corruption UPAC squad has still not received the DNA tests results from Panama to confirm Porter’s death, although provincial police investigators say they do believe Porter is dead. Porter, 59, was accused of taking $22.5 million in bribes in connection with the $1.3-billion MUHC superhospital construction contract. He was arrested by Interpol agents in Panama on May 27, 2013, and fought extradition to Quebec while incarcerated in La Joya prison. His longtime friend and physician, Karol Sikora, released a statement on July 1, 2015, saying Porter had died at the stroke of midnight at the Panama City National Cancer Centre. Sikora had said previously Porter had been suffering from metastatic non-small cell lung cancer. The time of Porter’s death would later be revised to around 11 p.m., June 30. On July 3 of that year, two UPAC investigators who flew to Panama said they positively identified Porter’s body in a morgue. UPAC director Robert Lafrenière added at the time “to eliminate all doubt,” Porter’s fingerprints were taken as well as DNA samples from his body. But that didn’t stop the speculation among conspiracy theorists, with some wags comparing Porter to a medical version of Elvis, predicting he would pop up somewhere some day. “He’d be a good foil for Barrette,” an MUHC manager texted in jest to a reporter last week, alluding to Health Minister Gaétan Barrette. Fuelling suspicions regarding Porter’s cancer is the fact the former radiation oncologist lived with Stage 4 of the disease for 23 months — most of that time in an unsanitary prison while writing his memoirs and treating inmates for various ailments — before his death was declared. The median survival for those with that advanced form of cancer is only 10 months. Kleber said Quebec authorities have been in regular contact with Panama to obtain Porter’s death certificate. “The investigative file for the other accused continues,” Delisle added, referring to former SNC-Lavalin and MUHC executives who are facing fraud charges in the case. As for the $22.5 million in alleged MUHC bribe money, Quebec authorities succeeded in recovering $17.5 million. That leaves $5 million that’s still unaccounted for, and on that score, there’s no doubt that’s a mystery.